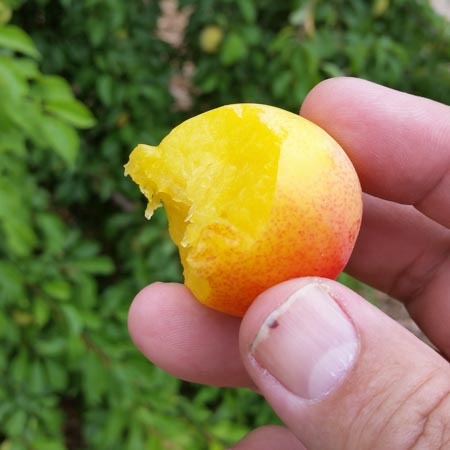 This summer June day saw the 2015 harvest of the delicious Japanese Yellow Plum. This sweet yellow skin fruit turns a pink color when ripe. Community volunteers spent the day harvesting 55 lbs of the fruit. A harvested amount went to the Lake City Food Bank. Raspberries were also harvested to be used for meal plans at both Meadowbrook Community Center’s cooking classes and Maple Leaf Lutheran Church’ s community shelter meal.